The newly appointed deputy governors of the Central Bank have been assigned their various offices. This was sequel to their assumption of duties on March 28. According to the acting Director Corporate Communications of the bank, Isaac Okorafor,Aishah Ahmad will oversee the Financial System Stability Directorate, while Lamtek Adamu was assigned to Corporate Services . The governor also approved redeployment of Dr Okwu Nnanna from the Financial System Stability Directorate to the Economic Policy Directorate. Recall that the President in accordance with the provisions of Section 8(1) (2) of the Central Bank of Nigeria (CBN) (Establishment) Act 2007, had earlier nominated two new Deputy Governors for the apex bank, their confirmation was howeverdelayed because of the faceoff between the executive and legislature over the refusal of the presidency to sack the Economic and Financial Crimes Commission, Chairman, Ibrahim Magu as directed by the National Assembly. The Senate however backed down on its earlier resolution and screened the two nominees for the deputy governor and members of the Monetary Policy Committee MPC. The board of directors of the apex bank is chaired by the governor, Godwin Emefiele, while the four deputy governors serve as board members of the bank. Aishah Ahmad was born on October 26, 1976, and hails from Niger State. 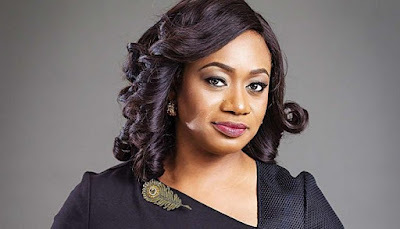 According to her profile in the most recent annual report of Diamond Bank, Aishah Ahmad was the Head, Consumer and Privilege Banking at the bank. She was previously the Head, Retail Banking Directorate. She had also worked with other companies such as Zenith Capital Limited as Head, Business Development, Bank of New York Mellon (UK), Synesix Financial Limited (UK), Zenith Bank Plc as Head, Retail Banking Unit, and NAL Bank Plcas Head, Private Banking. Management from the Cranﬁeld School of Management (UK). She is a Chartered Alternative Investment Analyst (CAIA) and she holds the prestigious Chartered Financial Analyst (CFA) designation. Aishah is renowned for her experience in theprivate banking space having managed many High Net-worth Individuals (HNI’s) throughout her career.